Transform your black and white documents with the B840, the A3 printer with the speed, versatility and the footprint of an A4 device. 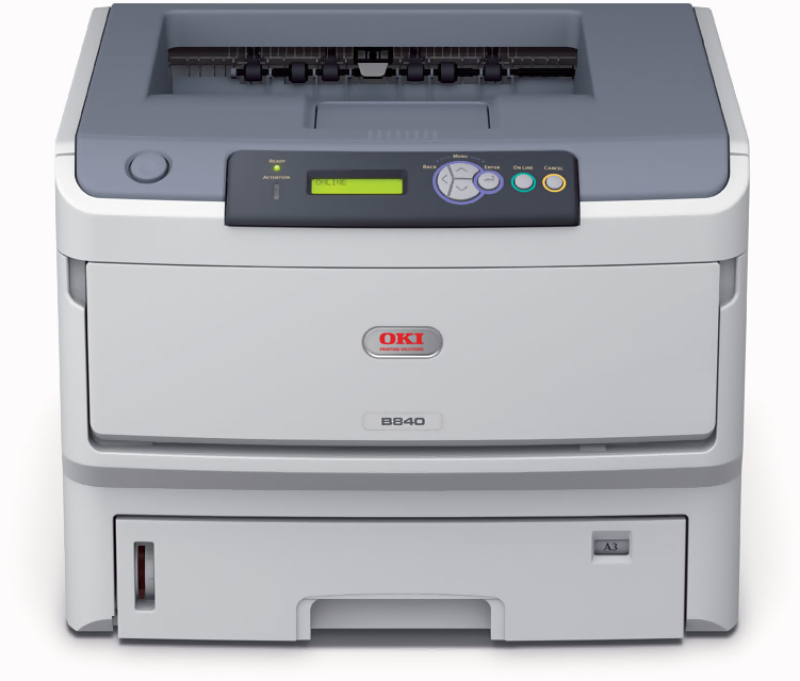 With sharp mono output, provided by innovative digital LED technology, the B840 brings A4/A3 mono printing closer to your small to medium workgroup. Gone are the days of having to decipher your spreadsheets and diagrams with a magnifying glass. The B840 offers you the option to print in A3 format, allowing you to get a bigger and clearer perspective. 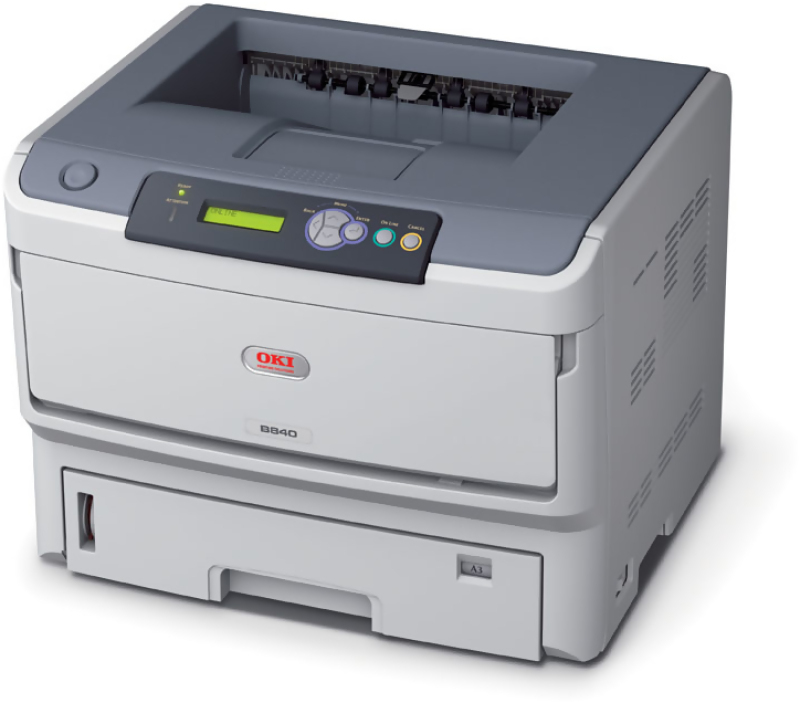 The B840 combines the convenience of fast desktop A4 printing speeds of up to 40ppm with A3 output, whilst also being of a size that sits comfortably on a desktop. The B840 is competitively priced and brings affordable, A3 mono printing, to every business, large or small. Ideal for larger volume printing, document proofing or a range of other applications, the B840 is a valuable addition to any office. 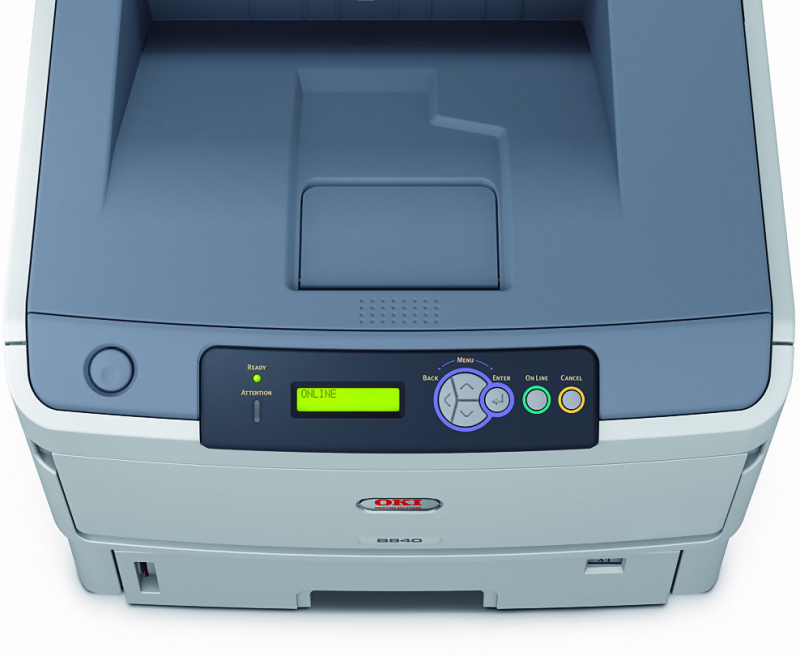 Built to last, with reliable digital LED printing technology, and a three-year warranty at no extra cost, the B840 is designed to offer low running costs and a low total cost of ownership that puts A3 printing in the reach of businesses and workgroups in every sector.